Photo: Courtesy National Alliance for Public Charter Schools. IDEA Public Schools was awarded the $250,000 Broad Prize Monday for its efforts to inject hope and opportunity into the educational lives of some 24,000 mostly Hispanic and low-income Texas students in San Antonio, Austin and the Rio Grande Valley. 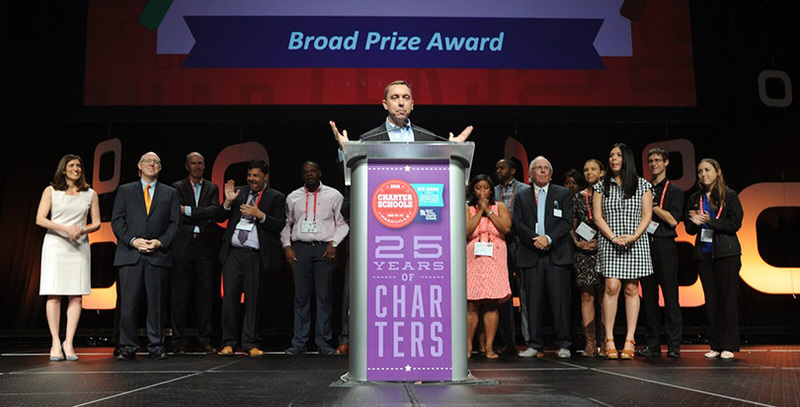 The spirit of combat was in the air of the grand ballroom at Nashville’s Music City Center where the prize was announced at the opening session of the National Charter Schools Conference. Nina Rees, CEO of the National Alliance for Public Charter Schools, used the occasion to issue a call for charter schools to enroll some 4 million students in the next five years — a million more than currently have seats. Rees said too many children linger on charter school wait lists by the thousands or their families simply don’t have a high-quality charter school within their geographic reach. Rees also warned that while the federal government — under presidents Clinton, Bush and Obama — has traditionally been “one of our best friends” that was about to change and advocates needed to shift their lobbying efforts. Twice those in the packed ballroom were asked to take out their phones and text 52886 to signal both their support for charter schools and their numbers. The texts will be directed to Trump and Hillary Clinton. By far the person who got the crowd most engaged was scholar, civil rights activist and charter pioneer Howard Fuller, whose emphatic speech touched on everything from scripture to the traumas of childhood poverty to a recently revived rift in the charter school movement between its more liberal and conservative forces. He said he would not stop talking about the need for better medical and mental health care for poor children because it affects their ability to learn, and that the idea of charter schools must live in a room big enough to accommodate Black Lives Matter warriors, personal responsibility stalwarts, social justice advocates and free market champions. Sometimes that room is going to get hot. Disclosure: The Walton Family Foundation is a partial funder of the National Alliance for Public School Charters conference and The 74. 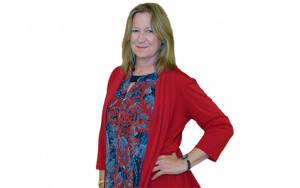 Campbell Brown, The 74’s editor-in-chief, sits on the board of Success Academy.